THE Turnbull government is considering a basic conversational English test as a requirement for migrants to becoming Australian citizens. 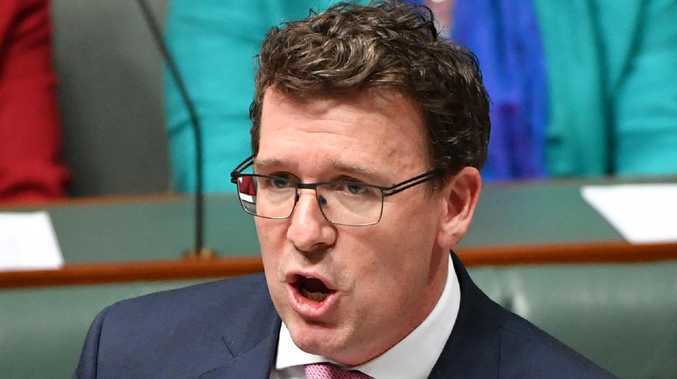 Citizenship Minister Alan Tudge is expected to announce the plans, after consultation with migrant and business groups, in a speech to the Sydney Institute today. "This would become a stronger incentive to learn the language as permanent residency is the most important objective for many," he's expected to say. It comes after the Federal Government tried to introduce an English test as part of the citizenship test last year but many raised concerns it was too tough and it has not been supported by the Senate. According to The Australian, the government is now considering an easier conversational English test, but this would apply to everyone wanting to become a permanent resident. Australia is approaching a million non-English speakers and the increase is concerning, Mr Tudge believes. "This is particularly so, given the concentration of non-English speakers in particular pockets, largely in Melbourne and Sydney," he's expected to say. It's not the first time Mr Tudge has flagged the importance of English for migrants. In March he suggested migrants must demonstrate they've made an effort to integrate before becoming citizens, steps which could include joining a Rotary Club or a soccer team. The government has been in talks with crossbench MPs to garner support for changes to citizenship laws that were shot down in the Senate last year.